Going paleo doesn't mean going without baked goods. Zucchini is the perfect addition to Paleo bread, making it softer, more moist, and increasing the nutritious value. Don’t be discouraged if you don’t usually like the flavour of zucchini - it blends in perfectly and enhances the other flavours and ingredients, giving the texture a boost in the process. 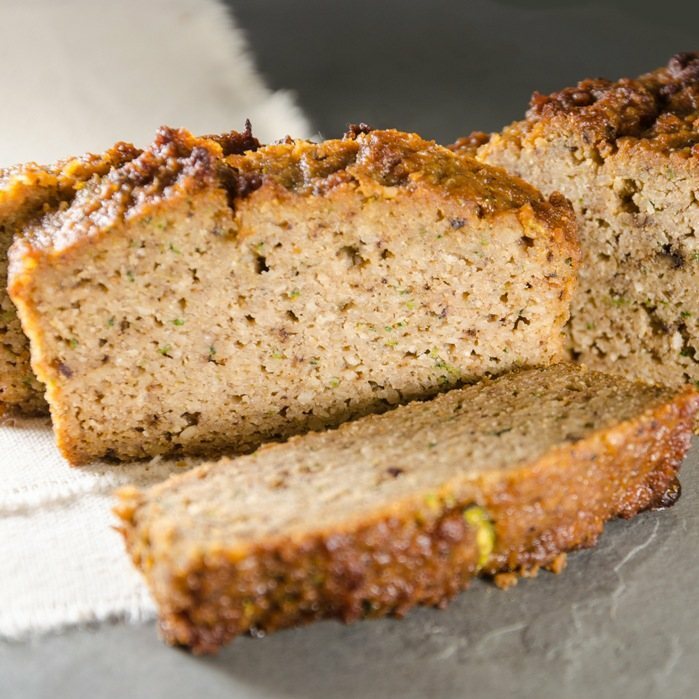 This bread contains lots of goodness, including banana that provides extra fibre and potassium as well as additional vitamins and minerals. The balance of ingredients has been carefully designed to ensure so you will fell fit and raring to go after you eat it! Morning snack or afternoon treat? Bread or cake? It’s your choice.